Food connects us. Strengthen your community by celebrating good food. Studies show that family mealtime makes kids happier and healthier and fosters family bonding. Nourish your family by committing to eat at least five meals together a week. Turn off the TV, and have a meaningful conversation. Establish family traditions, such as setting the table together, giving thanks, or planning the next meal. 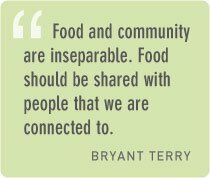 “Food should be shared with people that we are connected to,” says Bryant Terry. Begin your own tradition of good food by gathering your friends for a healthy, local, sustainable meal—a “nourish party.” Join a local cooking club to meet other food lovers, or enlist friends, neighbors, and coworkers to start a potluck night and rotate hosting duties each month. You might pick a monthly theme, such as regional comfort foods or a particular ethnic cuisine. Become a member of a food organization that inspires you and meet others who care about strengthening the local food system. Research good food spots in your area—family farms, farmers markets, locally owned restaurants, food artisans—and encourage people to support them. Create an online map or website to share information within your community. If your community doesn’t have a farmers market, form a committee to start one. Support local farmers and food producers by buying direct through a CSA or farmers market. Build relationships by talking with the people who grow your food. When you go to a farmers market, ask farmers where they’re located, what’s in season, how long they’ve been farming, and what methods they use. Visit a farm to see where and how your food is grown. Start or support a farm to school initiative at your school or college campus. Farm to school programs get healthy, local food into cafeterias, support regional farmers and economies, and help connect young people to the land. If you’re an educator or administrator, organize a farm field trip so that your students can see the source of their food first-hand. Help organize a buying club, coop, or farm stand to make healthy food more available and affordable to your friends and neighbors. 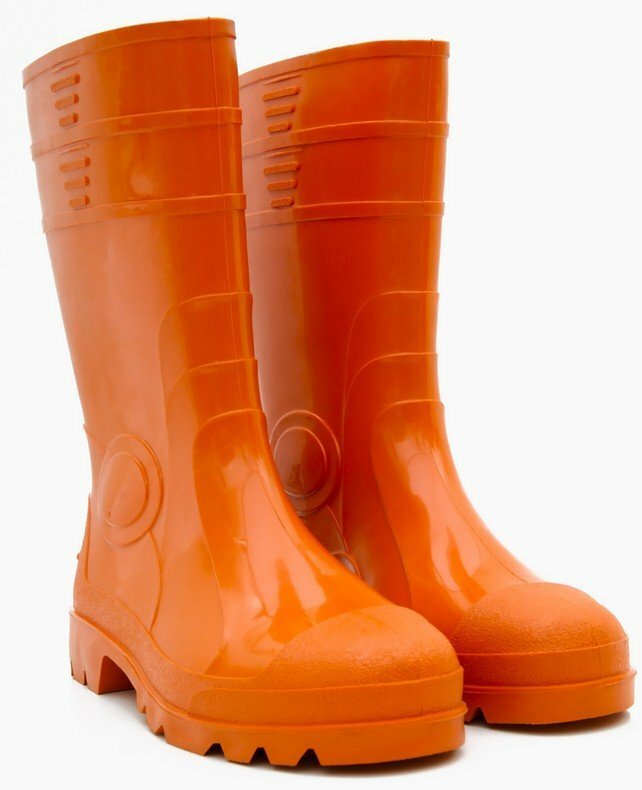 Volunteer with a local food bank, soup kitchen, Meals on Wheels, or produce gleaning team. Increase your impact by urging your friends, coworkers, faith group, or student organization to volunteer. You’ll meet others who care about making a difference in their community—and you’ll have fun, too.